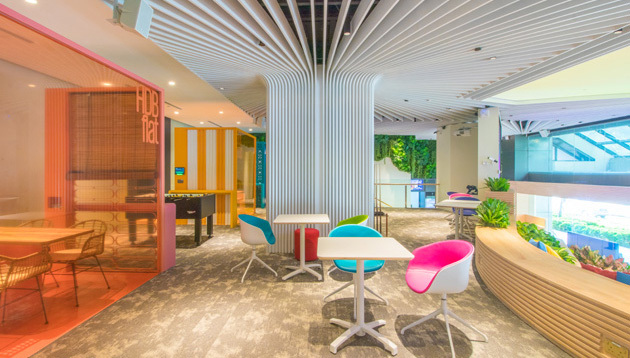 In celebration of its 77th anniversary, earlier this week, KPMG in Singapore unveiled its revamped staff lounge – the KPMG Clubhouse. 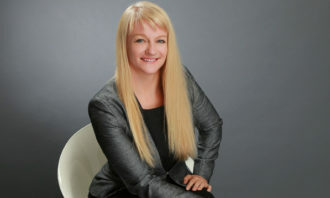 According to a media release sent to Human Resources, this will serve as an emblem to redefine the future of work and enhance their staff experience through innovation and technology. 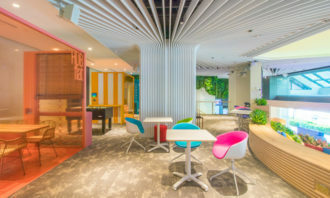 Occupying over 5,000 square feet on the first floor of City House in the Central Business District, the Clubhouse first first opened its doors in 2011 to give KPMG staff a place that they could chill in, catch up with colleagues and friends, host client meetings, and work in a comfortable and collaborative manner. 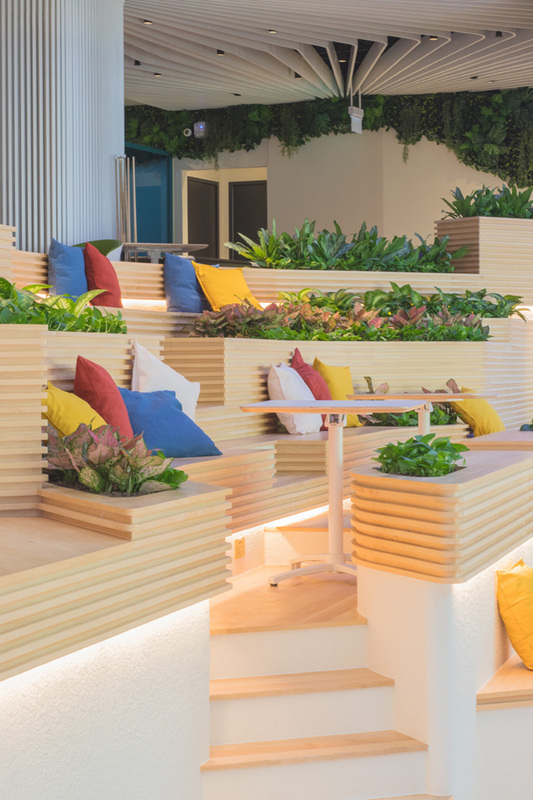 Earlier this year, the professional services firm undertook a four-month renovation of the Clubhouse with an intent to redesign the facility such that it sits at the forefront of technology, functionality and design. 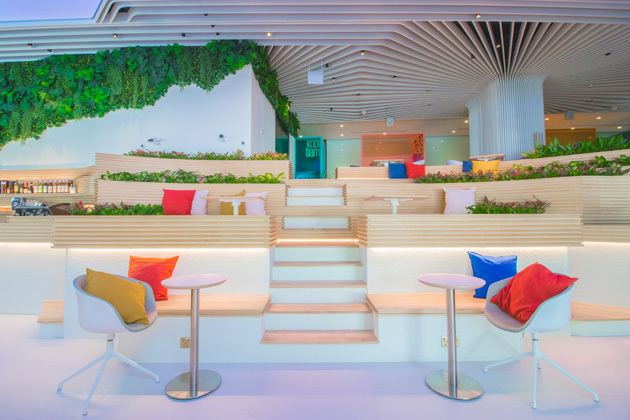 The revamped Clubhouse makes use of the KPMG team’s expertise and utilises the most cutting-edge design methodology to provide an experience that is human centric, futuristic and compelling. 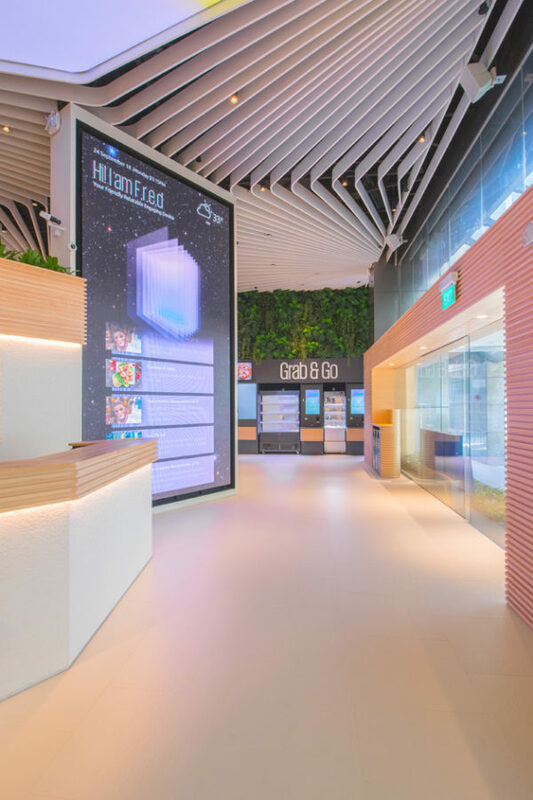 A showcase of an ‘eco-system of the future’, it incorporates the latest digital technologies such as artificial intelligence (AI), virtual reality and connected analytics for staff to experience ahead of time. Upon stepping into the KPMG Clubhouse, I encounter its signature highlight – FRED which stands for Friendly Relatable Engaging Device. 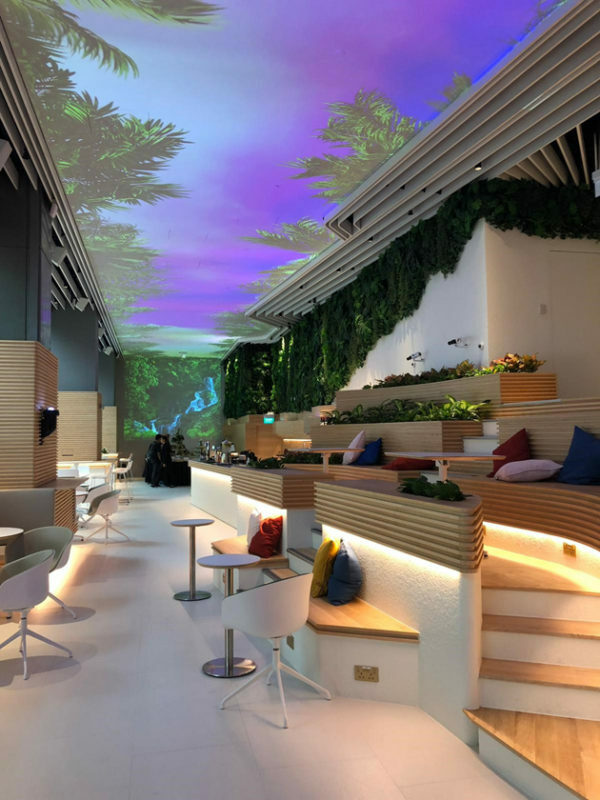 Living in a 4.3m floor-to-ceiling towering light-emitting diode (LED) screen, FRED is powered by AI and possesses facial recognition abilities to allow for a seamless and secure entry into the lounge – fully automating the entry process. Upon entry, FRED greets me and doubles up as a virtual assistant to suggest a cup of my favourite cappuccino. 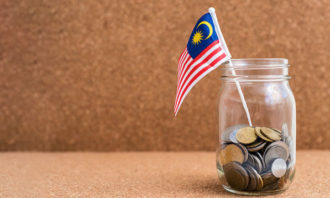 It also brings the me the day’s news headlines and the weather forecast – it even reminds me to bring an umbrella if it is going to rain. Indeed, the future of work has arrived. 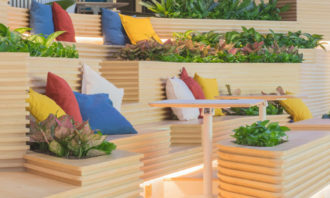 Moving past FRED, I land in the collaboration zone that packs a lush-green forest atmosphere with lots of open spaces to encourage collaboration, interaction and inclusivity. Here, I can work in my team and catch up with my colleagues at the same time. 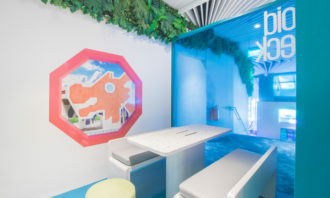 Situated in front of the collaboration zone is the event zone. 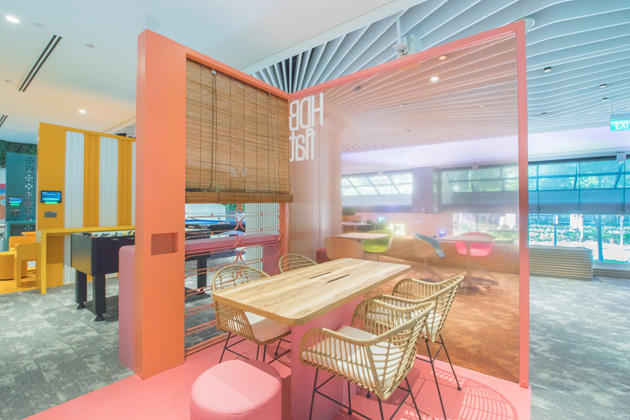 Using design thinking to create a flexible space for a variety of purposes, the firm managed to increase the space available for events by 50%. This is where I will gather for townhalls and team meetings. 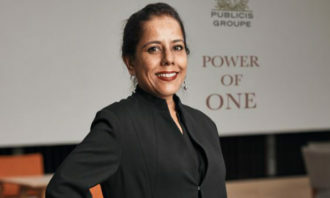 Apart from that, it is also a space for me to host client events. 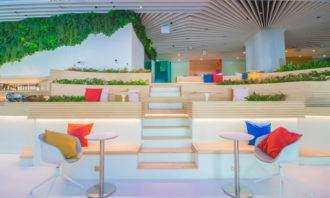 The space also houses the Clubhouse’s pièce de résistance – a ceiling mirage that could project the galaxy, the Amazon forest or a swirling bob of colours all at the touch of a button – a practical and utilitarian approach to readjust the space and create a different mood when the occasion calls for it. 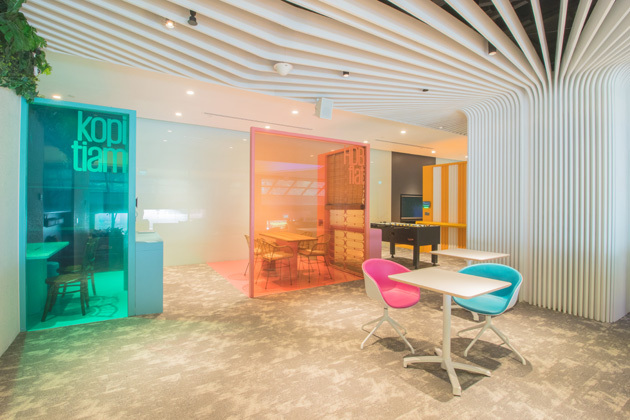 When the work day has ended or when I need some downtime, I will go to the fun zone, a versatile place representing the varied tastes and preferences of how my colleagues in KPMG love to unwind. 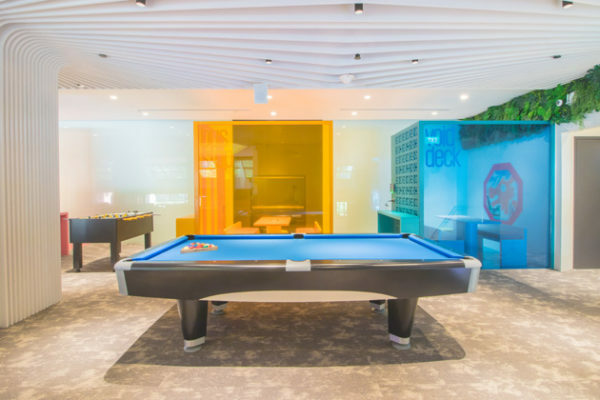 This is the zone where I can enjoy a game of pool or foosball, immerse myself in VR games, unleash my Picasso drawing talents with the VR Tilt Brush or watch a thrilling game of ‘live’ football in front of an 85-inch TV screen and a glass of beer in tow. 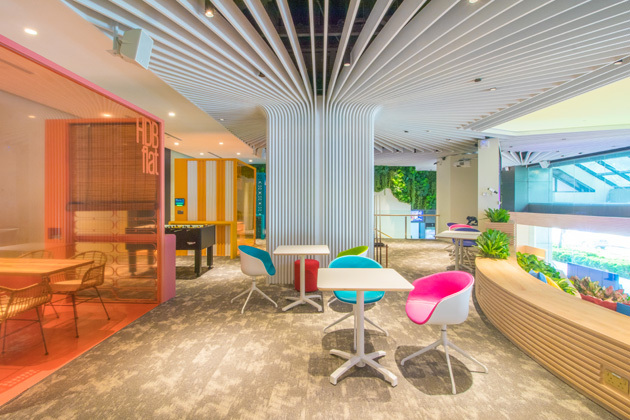 Taking centre stage in the fun zone are also four collaboration booths where I will head to when I need a more private space for my team discussions. 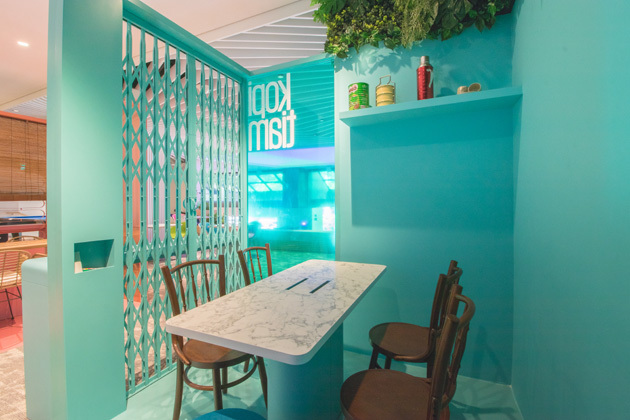 Bearing iconic names and aptly designed to resemble the HBD void deck, HDB flat, bus stop and kopi-tiam. 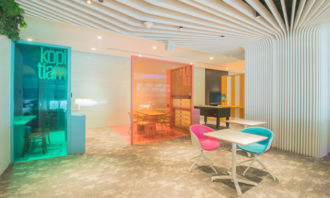 These comfortable booths reflect the unique heritage of Singapore and come with work-friendly features such as wireless presentation and full height glass boards to foster greater collaboration and seamless connectivity. 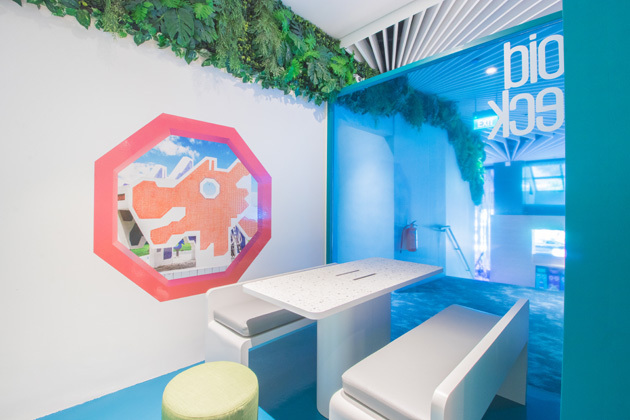 Two of the collaboration booths are also equipped with touch screens and PlayStation 4 consoles, allowing us to chill and work at the same time. Of course, no clubhouse will be complete without food to bring people together. 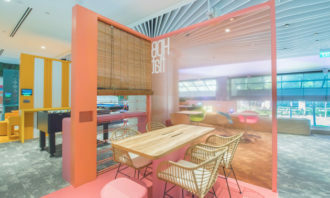 While there still is a selection of hot food served by kitchen staff when I am hankering for something warm, the Clubhouse features a new Grab & Go food kiosk with an array of bento sets and drinks to provide me the convenience of a quick bite. 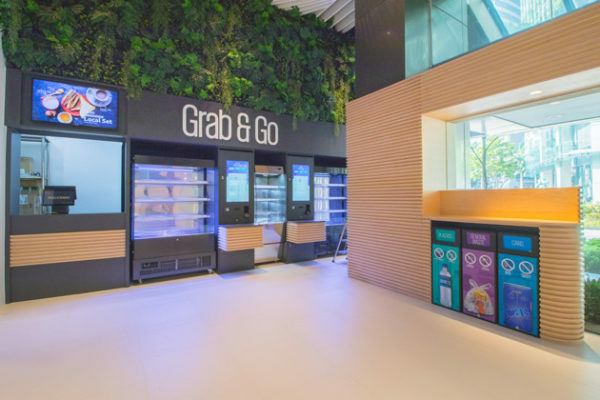 KMPG has also used its digital enablement knowledge to improve the people experience where all food items are tagged with radio frequency identification (RFID) which allows a speedier self check-out to address long waiting lines during peak hours. 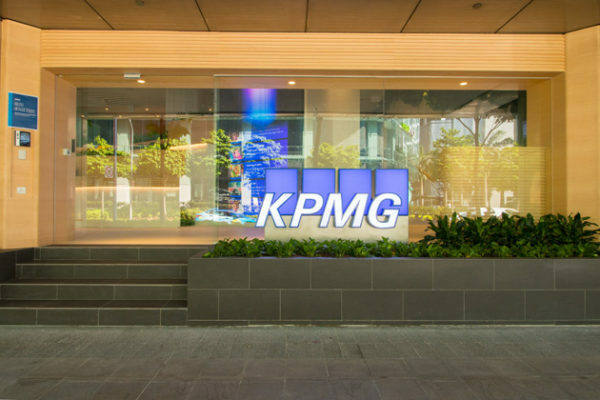 In phase two of the project, the firm will roll out the KPMG Clubhouse App where our colleagues can order and pay for food through the app and the food will get delivered to their work desk. 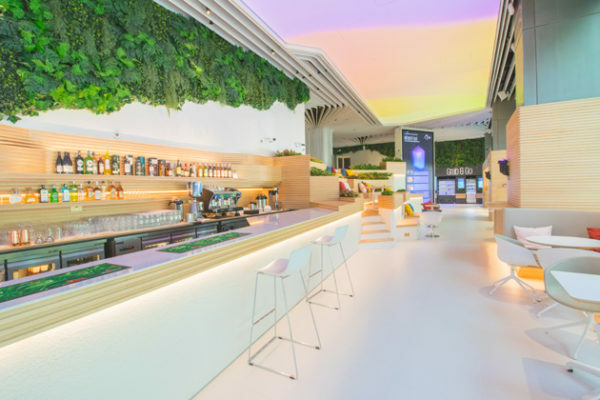 Using connected analytics, it further allows us to earn points for purchases and for supervisors to reward us in real time through a peer-to-peer reward system which can be used to offset for food and drinks purchases at the staff lounge. At the same, the it converges seamlessly with FRED’s facial recognition abilities to give future food and drinks recommendations based on my history of purchase. 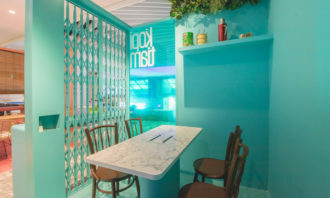 Apart from that, a longstanding fixture of the KPMG Clubhouse – a cosy, contemporary bar – has also been retrofitted to house a wider selection of drinks and snacks. For my colleagues who want to start their day with a good coffee, a barista is there to brew up the caffeine fix. When night falls, we can sit by the bar and enjoy a glass of wine at discounted staff prices. 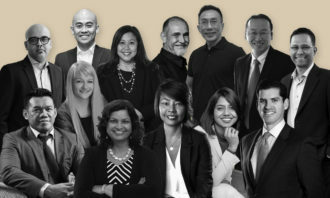 Last week, we identified the 11 types of Singaporeans you might work with. Today, we've rounded up the worst employees you definit.. The teams' core working hours will be from 10 am to 2 pm, Monday through Thursday, with flex hours making up the additional time. .. When managers demonstrate ethical leadership through emotional support, it not only mitigates negative staff behaviour, but also h..